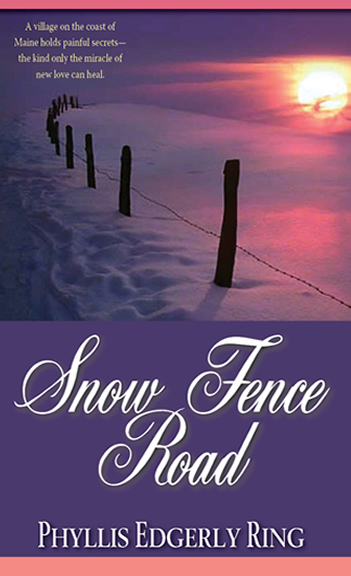 Where did you draw your inspiration for writing “Snow Fence Road”? The book began with a dream about the accident that shatters its hero’s life. This provoked a strong emotional response that made me follow where the story led. I’ve since discovered that its themes of guilt and grief, sorrow and secrets had deep roots in my own life. Spinning out the story certainly contributed to healing these. Is there a particular place, style of music or people who inspire you to write? Whatever evokes a sense of soul, of the timeless way spirit permeates our lives and invites us toward something greater. The natural world often provides this, as do the echoes of history in many European settings where I spent part of childhood and where my current novel-in-progress is set. Music seems most evocative when it’s instrumental, and human relationships fascinate me when I catch glimpses of the deeper purpose or intent they enfold – how qualities of soul show in them. “Snow Fence Road” is as crisp and delicious as a fresh-picked Maine blueberry. You draw the reader into the scene and allow them to experience Maine, the characters’ unique voices, and evoke feelings in the reader – almost as if you’ve been there. Did you base your main characters on anyone you know or are they purely fictional characters? Thanks for these kind words. I’ve loved Maine since my earliest summer visits there. That love deepened as I lived and worked in its small communities and visited family and friends in farther reaches like Aroostook County. This brought close contact with many qualities that these characters embody. I also value the relationships that small-town life makes possible. Yes, there can be gossip and frailties. But you also find people who’ve discovered their truest purpose, which translates into how they act toward each other; what they learn to honor and value in others and themselves. You’ve called your book “the exact opposite of 50 Shades”. Did you set out to write a book that was the opposite of “Shades” or do you base most of your stories on emotional romance rather than graphic sexual encounters? No matter what sort of writing I do, my goal’s always to highlight the beauty and meaning that can exalt the human condition. A lot of current writing focuses on aspects of “dis-ease” we can all recognize in the human struggle, then bogs down in the mess of its symptoms. It does the same thing conventional medicine does – focuses on pain and imbalance, giving center stage to the horror and fear these generate. This serves mostly to entrap and preoccupy the instinctual side of us, I think. But what about the wider options in the liberating power of the healing process itself? That greater part of us it’s calling forth? I love the potential power and purpose story can convey about our highest possibilities. That story must come full-circle and be authentic enough to satisfy those who make time to read it, of course. I’m also always wondering: How are we raising our vision toward something greater, rather than simply settling for the imbalance we see around us, or devolving into the negativity it creates? How effectively are we exercising our power of choice? What do we invest in – i.e. “pay” attention and give time to? And why? How is that making us feel, and how could honesty about our feelings (something nearly absent in Western culture as I’ve known it) lead to the true intimacy that is also absent in so much human experience? What type of reader would you say this book is for? I heard someone who reads mostly nonfiction and historical novels (meaning she never expected to read Snow Fence Road) describe how, after seeing the “interior designs” of “mind, heart and spirit” in my nonfiction writing, she was surprised to encounter in the novel descriptions of the physical world and daily life that point to “that same spirit of beauty, complexity of truth, and meaning”. Feedback like this is exactly what my heart is aiming for. I guess this story seeks readers attracted to welcoming a higher emotional tone in life, and the possibilities that spirit brings with it. Those who are irresistibly attracted to what can elevate the human condition. Phyllis Edgerly Ring’s novel, Snow Fence Road, was released by Black Lyon Publishing this summer. Her current novel-in-progress follows the lives of three women during WWII in Germany. She is also author of Life at First Sight: Finding the Divine in the Details, and co-author of With Thine Own Eyes: Why Imitate the Past, When We Can Investigate Reality?, coming soon from George Ronald Publisher. Married 35 years, mother of two, she has worked as editor, nurse, tour guide and conference program director, taught English to kindergartners in China, and served as instructor for the Long Ridge Writer’s Group. 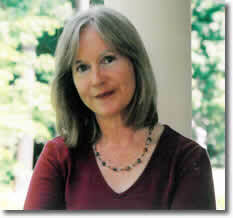 Her articles and essays have appeared in Christian Science Monitor, Ms., Writer’s Digest and Yankee magazines. Super-Blogger, Nicole Pyles, was kind enough to ask me to guest-post for her today. 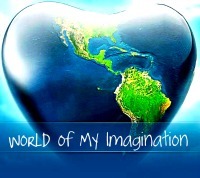 Check out my article, “The Journey of Writing Well”, at Nicole’s awesome blog The World Of My Imagination.